What started out as a network of individual 3D printer owners has since morphed into a network of industrial manufacturing services and, now, Dutch startup 3D Hubs has raised $18 million in funding to grow larger and more complex. The funds were raised in a Series C round led by Endeit Capital and included participation from Hearst Ventures, EQT Ventures, Balderton Capital, Booking.com founder Arthur Kosten, and Ultimaker founder Erik de Bruijn. With the money, 3D Hubs aims to expand its presence globally and further automate its online manufacturing platform. If you haven’t been to the 3D Hubs website in awhile, you might be surprised by some interesting new features. 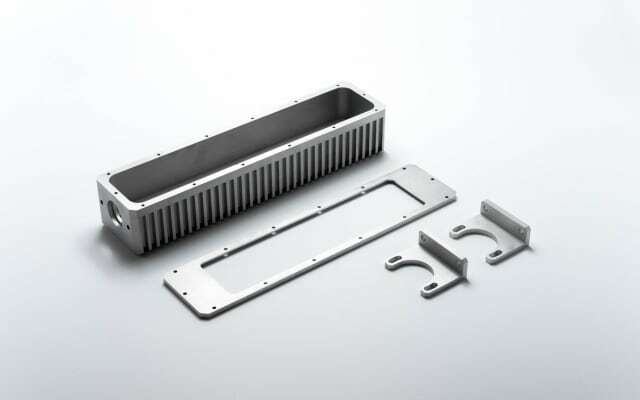 The site is now able to detect potential errors in your part for a variety of manufacturing options, including CNC machining and injection molding, as well as a variety of materials, from stainless steel (for CNC) to PEEK. You can also get an instant quote and bulk pricing. Smart order routing also sends your file to the most logical supplier in the firm’s network. James Wise, partner at Balderton Capital, suggests that “3D Hubs is tackling one of the biggest challenges we face as a planet—how we continue to manufacture things in a global marketplace, but in a socially, economically and environmentally sustainable way.” This may be due in part to the fact that 3D Hubs attempts to produce parts as close to the point of delivery as possible. If this approach can be achieved on a large enough scale, greenhouse gas emissions from the shipping industry (currently responsible for about 4 percent of emissions globally) could be reduced. But 3D Hubs will only have a significant impact if the company can make local production a cornerstone of its strategy. 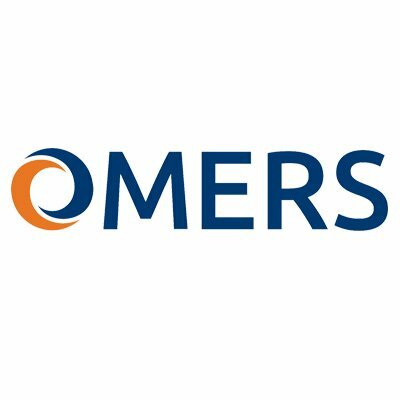 Omers Ventures, a multi-stage, multi-sector investor headquartered in Toronto, has launched a €300m European fund. The venture capital investment arm of Omers, Omers Ventures is a multi-stage investor in growth-oriented, technology companies. The arm currently manages $800M CAD across more than 35 investments in North America and Europe including breakout companies such as Shopify and Hopper. The fund, which follows the launch of Silicon Valley office earlier this year, plans to make long-term investments in some of the continent’s most innovative technology startups. It will target companies at Series A-to-B stage, and will typically invest between €5m-€10m per round, while having the capacity to follow on strongly in later rounds. Harry Briggs, ex-BGF & Balderton Capital, has been hired as the fund’s Managing Partner based in London. He brings long experience of the continent’s entrepreneurial tech sector to the role having spent nearly six years with Balderton Capital, a top tier European venture firm and latterly three years at BGF Ventures. Investments include The Hut Group, which has raised over €1.6bn, Magic Pony (acquired by Twitter in 2016), GoCardless, Paddle, Touch Surgery, Appear Here and Revolut. Before Balderton, he co-founded Firefly Tonics, a health drinks company, which he expanded to 35 countries, before selling to private equity firm Langholm Capital. He is joined by Tara Reeves, who joins from LocalGlobe. As a partner with LocalGlobe, Reeves led investments in, among others, Bricklane, Cleo, Cuvva, Floodflash, Tide and Trussle. She also co-founded Turo, a car-sharing marketplace that has raised over $200m. Founded in 1962, Omers is one of Canada’s largest defined benefit pension plans, with $97 billion in net assets as at December 31, 2018. It invests and administers pensions on behalf of almost half a million active and retired members. Omers has employees in Toronto, London, New York, Amsterdam, Luxembourg, Singapore, Sydney and other major cities across North America and Europe – originating and managing a diversified portfolio of high-quality investments in public markets, private equity, infrastructure and real estate. Toronto-based investment company OMERS Ventures, the venture arm of the pension fund OMERS, has launched in Europe with a dedicated €300 million fund to invest in startups across the continent. The firm’s new London office will be led by Harry Briggs, a British entrepreneur-turned-investor who used to work at Balderton Capital and BGF Ventures. What it does: Cleo is an AI assistant that connects customers’ bank accounts helping them to manage their finances through digital responses on Facebook Messenger. Why it’s hot in 2019: Cleo’s really taken advantage of Open Banking and has grabbed the attention of over a million users in two years. They’ve moved quickly where banks have been slow in this space, according to Rob Moffat at Balderton Capital. “Our plan for 2019 is continued international expansion and the development of additional products and services,” said Thish Nadesan, Cleo’s COO, in an interview with Business Insider. … $35 million in a Series B extension round led by Atomico, with participation from EQT Ventures, IDInvest Partners, Balderton Capital, and Sunstone. Danish employee retention SaaS startup Peakon has raised $35 million in a Series B extension round led by Atomico, with participation from EQT Ventures, IDInvest Partners, Balderton Capital, and Sunstone. The company, which has raised a total of over $60 million to date, wants to spend the fresh capital on scaling on the US market. Launched in 2016, Peakon is an employee retention platform that consists of three main parts: feedback surveys for employees, actionable insights for managers, and a database of engagement levels of the workforce across different industries. All surveys on the platform are standardised, which makes it possible to directly compare the figures. The startup has worked with customers like Capgemini, Verizon, BMW, TrustPilot, Harrods and easyJet, and currently operates in the UK, Denmark, US, Germany, and New Zealand. Peakon has doubled its headcount to 180 over the past year and claims to have grown the revenues by more than 200 percent. Is Great Panther Mining Limited (GPL) A Stock To Be Permanently Long On?